canes, nygiants, yankees, boston celtics, tennis, reading civil war stories[mostly fictional] p.s Better late than never, got married in nov 2010, to the one and only Mrs D.
What a McCufferen type of game! Comon guys, lets enjoy the victory. Hope dougie does not get a game for that. Lets get the first one, Backstrom or OV , who do you keep an extra eye on, cant let them get alone near net. As mentioned, Aho has to get going, for us to get going. I would move Svech to 2nd line also, he showed he is ready for it.. 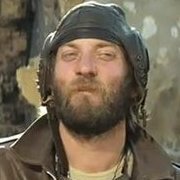 Anyone get news on Slavin? Lets hope its underdog time, any word on Slavin? Bob certainly settled down after first. Rem, not sure we want to get in a shootout with them. We are all machuffering tonight! last 3 times, made to conference finals, just saying.